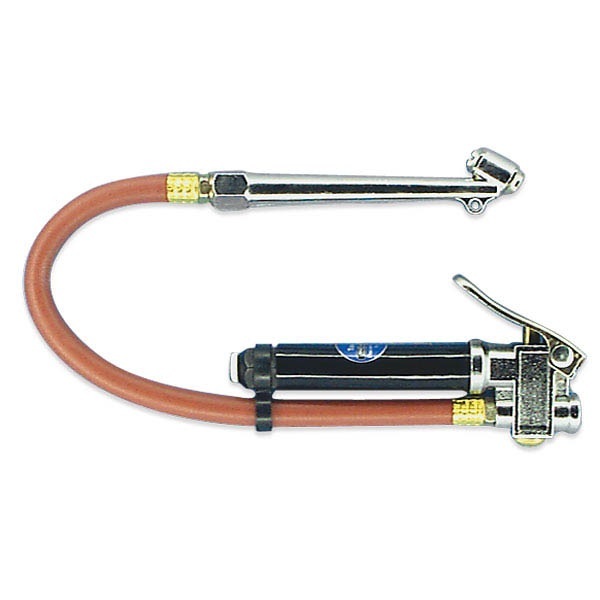 For finding correct pressure, quickly and easily. 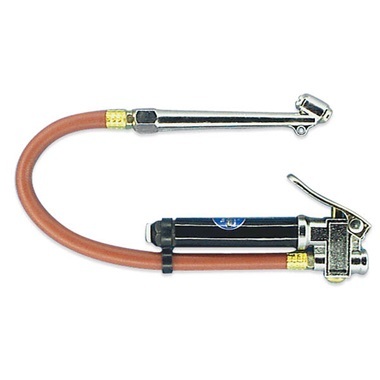 Equipped with offset dual-foot head for inflating bike, car & truck tires, and farm equipment. 10-120 psi. 12" flexible hose. 1/4" female NPT inlet. 21" wide, 3" high, 1" deep. Cheaper made than the last one I had. Slide gauge that has the numbers are plastic. Material used is thinner. There is no swivel for the valve end.